The whole purpose in hiring a real estate agent is to take advantage of the level of knowledge and expertise that they have. Their knowledge should net you more for your home, help you stage your home, give you market perspective, save you time, energy and any unforseeable legal troubles. Contracts, legal terminology, negotiating! Who has the time to research all these things? Joan Kulikowski has 25 years of practice at this. Professional marketing and staging of your home and qualifying potential buyers is so complex. Do you really want someone who just sticks a "For Sale" sign in the yard and drives away?? No! There is someone who knows how to make your home more appealing so it nets a better purchase price and understands the world of real estate!! Her professional staging has given her clients significant, proven results to boost their bottom line! She will design a website that looks like this, "WWW.YOURADDRESS.COM with at least 65 pictures of your home and, on the average, staging brings 17% more for your home. She calls it "frugal flipping!" Joan Kulikowski does so much more for you. She truly addresses your needs and the needs of your home to successfully market it. She is a licensed Associate Broker, a distinction which indicates a level of knowledge which spells protection for you! 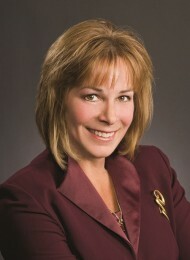 Joan is in her 18th year of a successful real estate practice working for both buyers and sellers! Add to that 10 years of previous experience doing hundreds of real estate transactions and other major areas of law while working as a paralegal and you have 25 years of experience. This is a hallmark of education which far surpasses the minimal two-week course requirement to get your real estate license. A realm which few licensed Realtors can boast of. All of this experience empowers Joan to put you and your needs first! "I use my experience everyday," Joan says, and it makes my clients money; it protects them and it empowers me to do things for them that others cannot do!" Knowledge truly is power! Call Joan today!